So that’s a provocative title… Which Dog is Best? Follow this link to the article. 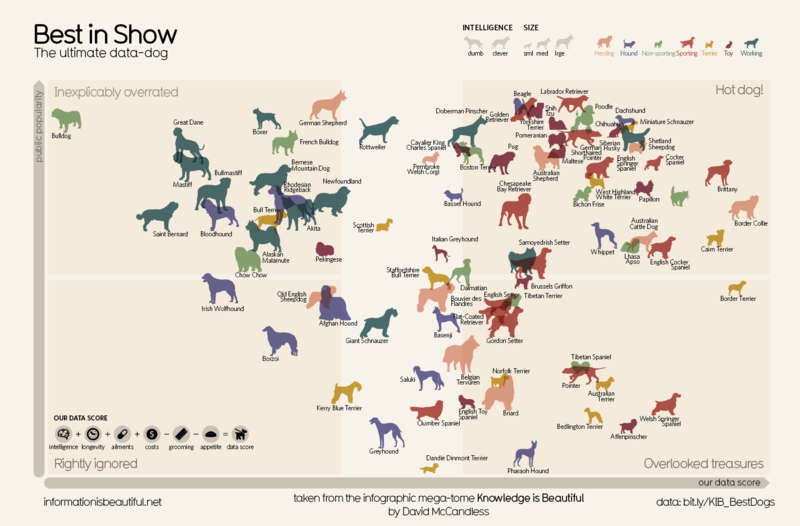 Or cut to the visuals – 87 breeds compared in an info graphic entitled A definitive ranking of the most overrated and underrated dog breeds. The best dog is, a Border Collie – but you knew that.